Size: 19" Its a little loose! Cast on 81sts .Place marker and join to begin working in the round, being careful not to twist. 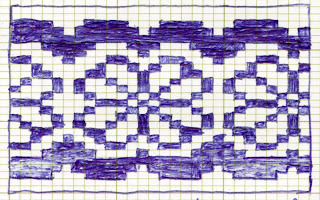 Work in 2x1 Rib until work measures 1.1/2-2" Increase 3 stitch evenly. There should be 84sts now. Join CC and work Rounds 1-28 of color chart (chart will be worked 3 times in each round). Work 3 rows in MC. Leaving tail, cut yarn and thread through darning needle. Run needle and yarn through all remaining stitches and pull tight. 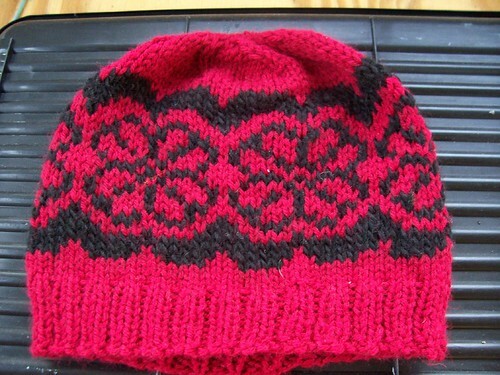 Run needle through the stitches at the top so that it's inside of beanie. Darn in all ends. I love that hat, you did a fabulous job. I love that hat in your Icon! 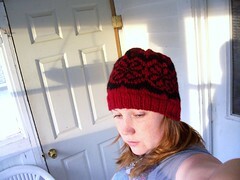 I saw it over on ravelry!! Thank you for sharing your beautiful hat pattern .I love that hat. I love this hat; I can't wait to try making it! Thank you for sharing. This is a Flickr badge showing public photos from boizscareme. Make your own badge here.